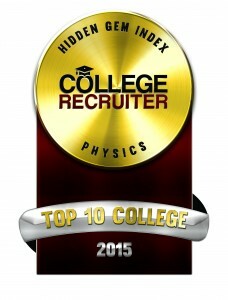 Minneapolis, MN, April 17, 2015 — College Recruiter, the leading niche job board used by recent college graduates to find entry-level jobs and students to find internships, today announced the 10 winners of its 2015 Hidden Gem Index for the best colleges and universities for employers who want to hire high quality graduates who majored in physics or physics engineering. A recent survey asked prospective students and their parents to name their dream colleges. Some of the schools on the list were the same — Stanford was first on both lists — but some were quite different.